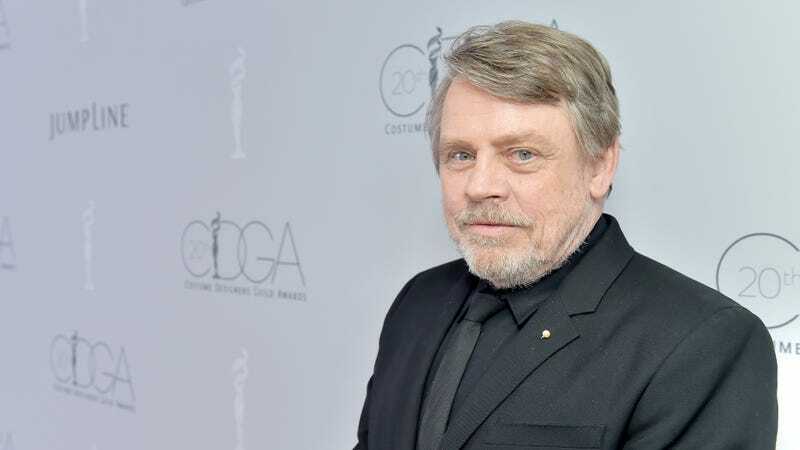 Mark Hamill—an actor who’s given life to some of Hollywood’s most iconic characters, including Luke Skywalker, The Joker, and Cocknocker from Jay And Silent Bob Strike Back—is finally being recognized for his efforts, with Variety reporting that Hamill is about to be honored with a star (wars) on the Hollywood Walk Of Fame. The ceremony will take place on March 8, with Hamill’s pals George Lucas and Harrison Ford on hand to pay tribute to their old co-star (wars). Hamill’s contributions to the arts extend beyond his role in a beloved space-based film franchise, of course; he’s also a highly respected voice actor, and is frequently held up as a fun, funny example of how to be one of the biggest names in Hollywood without also being a big ol’ jerk about it.